This is the third in the series – each book relates to another couple, and it can be read as a standalone, although we do see the results of the previous two stories, so there is linking if you read them all. Tim is the drummer in Spiral, and he likes being behind the drum kit. He chooses to take the route of least resistance in his life, although coming to NY to try and get the band off the ground has resulted in huge success. He does manage to clear the clinging girlfriend from his life, but what happens next definitely throws him off his comfortable fence edge. I enjoyed watching him realise what was happening, how he deals with it, and just how uncomfortable he has to be to get what is really worth having. Carter is a man who seemingly has it all, but his past has meant that he knows all too well that money does not equal happiness – and his attempted detachment with Tim is not going well. I loved how his ability to like simple things was such a revelation to Tim. The yoga classes were brilliant fun too. In fact, they make a crazy, but hot couple time and time again. Although from different backgrounds, they have reasonable parity in wealth stakes, which makes some things much easier for them to ignore. I found this to be a very easy story to read, with some interesting twists, but fundamentally telling a love story as old as time, which is exactly what romance story readers want. Thank you, Ms. Hayes. 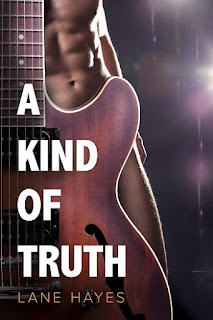 For reviews & more info, check out our A Kind of Romance post. Reviewers on the Wicked Reads Review Team were provided a free copy of A Kind of Honesty (A Kind of Stories #3) by Lane Hayes to read to and review.